Major technical breakthroughs and product development within laboratory science are highlighted in print and digital format. 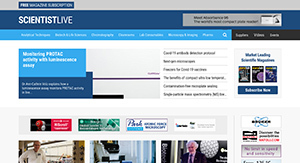 These issues also benefit from daily analysis online where we also cover a range of other disciplines including food science, drug discovery and medicine. We are continually expanding and updating our databases and these can now be used to send targeted E-Blasts to scientists throughout the world.